Penicuik Property Blog: Is boiler insurance worth the cost? Is boiler insurance worth the cost? Today the Penicuik Property Blog is going to depart from the norm. Normally, I discuss matters that help landlord’s answer the two basic questions that they are interested in (i) how much is my property worth? and (ii) where is my next buy to let property coming from? Now I know, because I am one myself, that this is really all that landlords are interested in but occasionally all landlord need to deal with some of the more nitty gritty aspects of renting out property. So I thought that I would write this week’s post about one aspect of this nitty gritty stuff .... do not worry, I will know from the emails I get from readers as well as the stats whether this sort of thing is of interest to readers! Last week a tenant contacted me to say their boiler was leaking water at an alarming rate. This was the third time in 12 months this particular boiler has had an issue and it prompted me to suggest to the landlord whether it might be worthwhile taking out boiler insurance on it. I don’t normally take out boiler insurance on my own portfolio as I’ve run the numbers, which shows it’s not worthwhile. I have a very good gas engineer who is both competent and readily available to attend to my properties. However, in this particular case, it was the third time in 12 months there had been an issue with it; costing £720 in total! I took a quick look online at boiler insurance policies and found for £15 per month you could have unlimited repairs with no excess. At £180 for the year, it certainly would have been worth it for this particular boiler! Looking through my records though shows that only 9% of boilers had repair bills above this figure in any one year. Unfortunately however, I know the pain of having a boiler become uneconomical to repair and having to fork out for a complete replacement (easily costing 10 years of insurance premiums). Some independent research suggested that 49% of boilers develop a fault within their first six years, costing an average of £188 to repair, whilst 67% of those with breakdown cover did not need a repair visit at all. Of course like all insurance policies, overall the company makes money from the group as a collective. But some will take comfort that by paying a manageable monthly fee they may prevent a larger unexpected bill. It would certainly help me not have to make uneasy calls to landlords with the news of a large repair bill! As a letting agent, there’s nothing in it for me except the hassle. If you’re using a letting agent they should have good links with local tradesmen to get the work done promptly. For a ‘DIY landlord’, the convenience of having an insurance policy in place could be a deciding factor, alongside improved service levels to tenants. The most likely time you’ll encounter a failure is in the winter months - just when plumbers are all busy! 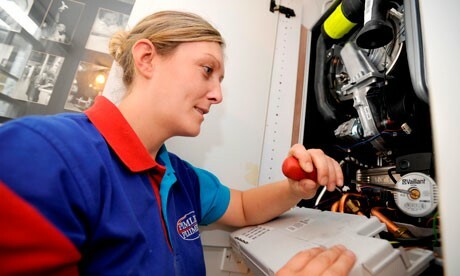 Will they get to your stricken boiler promptly whilst your tenants are without heating and hot water? You may feel it’s easier to simply pay a monthly fee for the privilege of providing tenants with a number to call with a guaranteed response time in place. It seems to me that if you are on a tight budget, have an older boiler or just don’t want the hassle of phoning around for plumbers, then boiler insurance might be worth the cost; just be sure to check the policy for limits and exceptions so you don’t have a nasty surprise in the event of a breakdown that isn’t fully covered. If you would like to have a chat about boilers or any other buy to let property matter (be that property market or day to day property management related), please get in touch on 01968 674601 or at lettings@thekeyplace.co.uk. 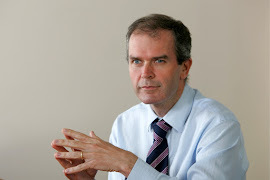 Alternatively please feel free to pop in and see me at our offices in Bank Street for a chat, the coffee is always on.